This luxury 3 Bd / 3 Ba gulf front condo is situated on the 2nd floor of Azure overlooking the pool. The interior amenities include 9 ft ceilings, living room & master bedroom are both gulf front, designer fixtures, granite kitchen counter tops, stainless GE Profile appliances, crown molding & tile flooring. Enjoy views of the gulf from your 8 ft deep balcony. 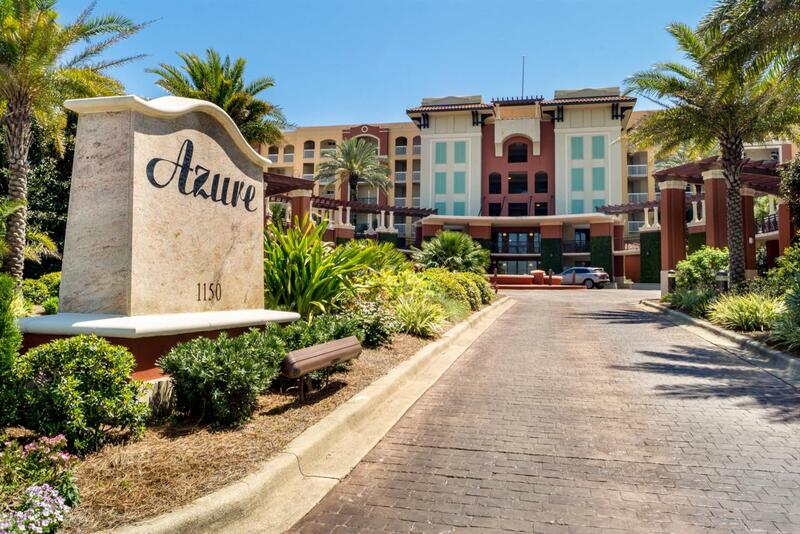 Azure is located on 515' of sparkling sand and gulf waters. This gated paradise surrounds an Italian Piazza with two large luxurious gulf front pools, two spas & a spray park surrounded by lush tropical landscaping. Additional amenities include a covered parking garage, large boardwalk to the beach & fully equipped fitness center.